Sure all of us do it in some form or fashion, pour ourselves into our careers. In my field it’s very common that a 40 hour work week is not just a 8 hour a day job. It typically is up and down depending on the projects, clients, and administrative activities that are demanding our time. It was about 6 years ago, when I was complaining about my job. I was feeling like my career progression was stifled and I was a working more in a 50 hour a week capacity as the norm. On top of running myself all around with a two young children, while managing the household. My company was thrilled with my work, but I was fed up and completely worn out. Something had to change and I began to evaluate and question what I was doing. My key question was does the pay change if I worked what’s expected? The answer was no. Then why was I killing myself? The problems and issues of the day not withstanding; would be there tomorrow if not answered today, and my compensation was the same. I finally came to conclusion that when I died, I didn’t want my tombstone to say “She did a great job at company X.” My resolve was set; below are my tips to ensure I put in my time and move on. The Wrap Up – Toward the end of everyday (usually 2 hrs before quitting time) I review what tasks are left of the day and assess what I must squeeze in and work to complete it. If there isn’t anything, hurray I start to assess the next day. I’m a total technology person and use the task list in Outlook with reminders to keep me organized, nothing like marking something complete – total rush of accomplishment. If I can get ahead, I get ahead and hope for banking time later in the week. The Shut Down – When it’s time to shut down, do so without apprehension. Organize your day for tomorrow, file away or clean up as applicable, then close the preverbal door. If you have a smart device that keeps you connected to work, my policy is I’m done, unless someone calls and we need to chat – emails are for the morning the next day. Make it a habit. One tool I use on my company device that is golden is the Do Not Disturb mode set for 10pm – 6:30am. I line manage, so it’s important for my team to reach me but not while I’m sleeping. I will get your voicemail in the morning. Sleep is my coveted activity and work is not allowed in that space. The Wake Up – Next day, breathe in – breathe out and only review that smart device as you get into the office or if you must at breakfast. It’s important to avoid reviewing the smart device in bed when you first wake up. Why? Because that’s your personal time, and you need your routine for you in the morning. Take the time for you, it’s important. I work to keep true to my time on the job and add some flexibility when I take a longer lunch or need run errands in which I can make up some time because of the work I do. I’ve learned better time management skills as a result. Also, make no mistakes I’m not in perfect compliance on the above, mostly #3 is where I cave, especially if I’m waiting on something important. In many cases, we are not all working in our dream jobs. That’s okay, our jobs are the supplement to our lives that support and give us the financial means to support our families, allow us vacations, ability to indulge in other outlets and hobbies. Don’t make that job more than what it is – give to it what it gives to you in the best way possible. Don’t drive yourself into the ground if the pay your making doesn’t change as a direct result of the quality good hours your putting in. Your life should be more than your job and your tombstone should be reflective of that. You never hear of the person on their death bed wishing they had done more work. Please show the love and like/share this post. Love hearing from you! I think this is a really great point and something people forget today. I see so many friends worn down by their jobs, when they don’t even like it. 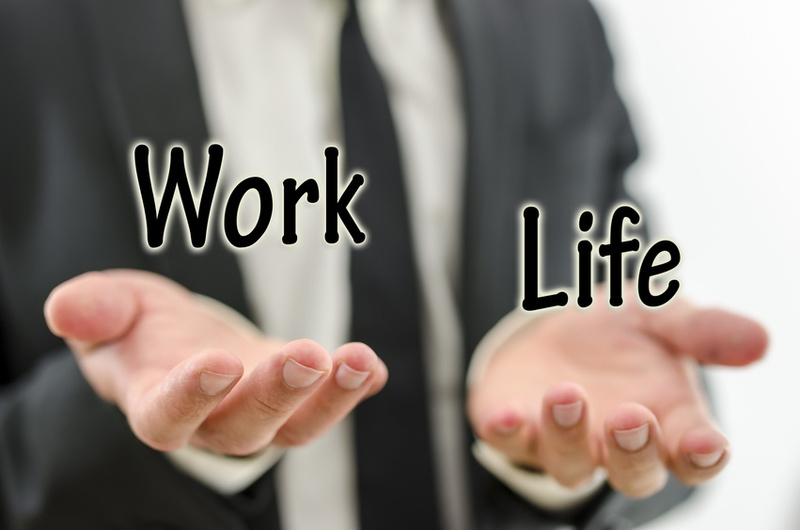 I think we need to go back to the mentality that work, especially jobs we don’t enjoy, are just money-earners, not life! Great comment, it’s not life. Yet, so many hustle to get ahead and lose sight of the bigger picture. You can still get ahead, work smarter vs harder and still have a life. Next Next post: What’s Your Cell Phone Policy?